Jump into the ring with a premier VR boxing experience from Survios that puts you in the gloves of Adonis Creed on his journey from an underground amateur to a spotlight champion. 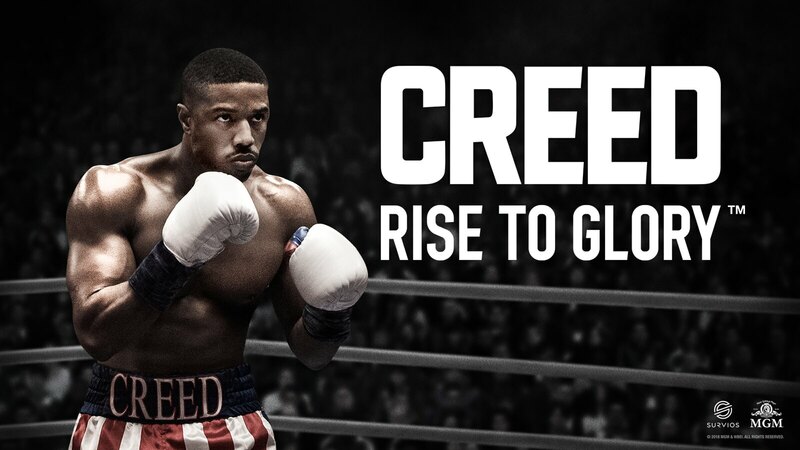 Creed: Rise to Glory hits PlayStation VR September 25. Pre-orders begin today at 8am PT. 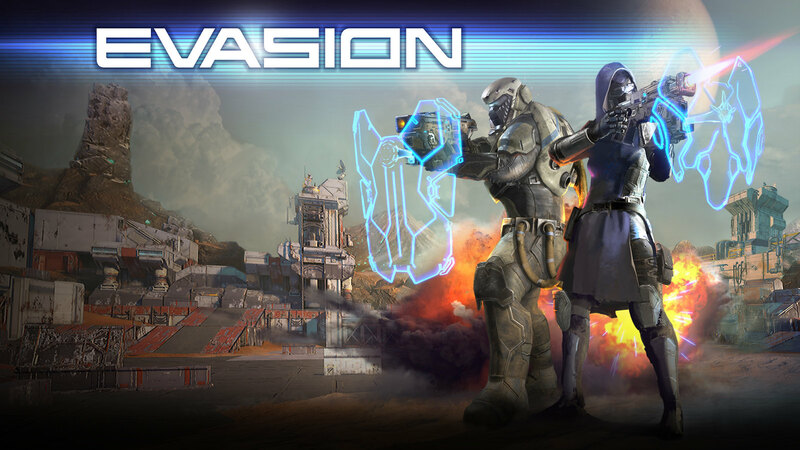 In Evasion, play as one of four unique hero classes within an elite special operations team charged with saving an embattled human colony. This intense, sci-fi first-person VR shooter from Archiact hits PlayStation VR October 9. Pre-orders begin today at 8am PT. Last but not least, be sure to check out the Totally Digital Sale at PlayStation Store, running through August 28. We are offering pre-order discounts up to 20% off on PlayStation VR titles including Bow to Blood and Torn, alongside up to 40% off (or 60% off for PS Plus members) on select digital games such as Animal Force, Pixel Gear and Smashbox Arena. For a full list of participating games, click here. Thanks again to all our amazing fans for helping us achieve this milestone! In addition to the robust catalog of nearly 340 PS VR games and experiences worldwide, there’s still plenty to look forward to, as we have a great lineup of games coming in 2018 and beyond, including Astro Bot Rescue Mission, Blood & Truth, Déraciné, Firewall Zero Hour, and more! Congrats on the milestone!! I love my PSVR. Just waiting for beatsaber. Any word on a release date yet? Yep beat saber is what I’m waiting for for sure. Can’t wait. Also blood and truth is another big one along with golem. Any release date hint for beat saber? Awesome. Can we now have Google Earth on PSVR please. Played Creed at E3 and it could easily become the best VR experience. Loved it. Racing and horror games are the reason for VR. DriveClub, Gran Turismo, Resident Evil 7, Skyrim and Out of Ammo are top tier VR games. Now if only Alien Isolation would have been psvr. This is great news. Congratulations on the success and thanks for this product I had no idea I would love so much when I bought it. PS4 was already my favorite console I’ve owned (I’m 37) before PSVR, which easily sent it far ahead of any other in my mind. The variety of experiences and ways you engage with those experiences have made it my favorite gaming product purchase ever. Clearing a close race in Sprint Vector or Wipeout Omega Collection. Arranging a euphoric track in Electronauts. Looking down the sights of my virtual rifle and putting the red dot on an enemy in Farpoint. Pretending to wash a window, so the guard in the building across the street wouldn’t realize I was a spy in I Expect You To Die. Watching my little sister cower to a virtual shark. I wouldn’t give any of them up and the fact my brain recalls these memories like moments my body physically experienced hammers that perspective home even more. HAHA, nice post! The experiences are so unique with PSVR! Please figure out a way to bring Star Wars back to PSVR. Despite there being some amazing games on the platform, Amazing; that X-wing experience is still one of the most mind-blowing times I’ve had on the headset. Move controller lightsabers, pilot the different ships in the galaxy and blast stormtroopers with the aim controller. I know it’s not an easy task and there is a lot of negotiating to do, but it will sell headsets. Well deserved, Sony did a hell of a job with PSVR. Wish it sold far more than that, but as long as they’re working on PSVR 2.0 for PS5 everything is fine. That duo will blow minds even harder than the original headset ever did. This is just the start of VR gaming, the future will be bonkers. Now if Sony could announce/work on a COLONY WARS revival/remake for PS4VR or launch it on PSVR2.0, I’d be in gamer heaven. You know this would make so much sense, that genre is made for VR as the Star Wars experience demonstrated and it would offer the best of both worlds, as it could be played 100% in VR or on a flat screen. MotorStorm PS4VR trilogy à la WipEout Omega Collection is another no brainer. Just do it Sony! I hope the PS5 and PSVR 2.0 is compatible with all the older PSVR PS4 titles. That would be an amazing feature! Check out End Space. It’s very Colony Wars-like. It also works with the PS4 compatible Thrustmaster flight stick. It’s short, but awesome. Is Blood & Truth still coming this year? So excited to play it! Awesome! Ive been on board since release and have enjoyed watching the growth. My favorite experience is still sharing VR with others for their first time. The amazment, joy, magic and wonder that people express is priceless and so fun to witness and be a part of! Congrats on the milestone, PSVR is here to stay! Congratulations!! Let’s see another million by year’s end. OH YEAH!!! That’s a nice article! Glad to read PSVR is selling well. I absolutely love it. Well done and keep the games coming. Looking forward to Firewall and Unearthing Mars 2. Sony, PLEASE, Please figure out a way to get Robo Recall on the PSVR! I’ve been waiting for Job Simulator to go on sale for months!! Sorry, can’t hear you! Too busy playing The Persistence! Please make a blue PSVR to match the Playstation Camera with the 500,000 SE PS4 Pro! Not bad Sony,loving the support VR is getting…the opposite of what happened to Move back in the day which was a shame cuz Move is a blast.Now to celebrate how about lowering the default price of VR bundles to $200?…permanently that is.Also should’ve waited 4 million to celebrate. While I was interested in the PS VR, the way Sony thrower the towel with the PS Vita and PS TV, among many other products and services, is more than enough to convince me not to jump into this. With just 3 million PS VR units sold, it’s doing worse than even the PS Vita, not to mention news that indicate that VR sales overall have been slowing down overall. Frankly I wouldn’t be surprised if from one moment to another Sony just decides to cut its losses and abandon PS VR within the next year. Maybe time will prove me wrong, but unfortunately we do have precedents from Sony that do show that this as a very likely scenario. Considering they’re already talking about PS5 coming in 1-2 years I’m not sure how many more years you expected full support for this version of PSVR anyway. They’ll want to be moving on to the next model and so will we. Don’t try to downplay this sales number either. It’s way higher than the other full-on VR headsets out there are selling (not counting those bargain bin phone head strap ones) and comparing its sales to a portable system is completely irrelevant. Be honest, you were never going to buy one anyway or you’d have done it long before now. Meanwhile everyone will be sitting across the way enjoying the tons of content already available for it, just like they still do with their Vitas. By the way, new Vita games still come out digitally on a regular basis. It’s only physical versions they stopped making, because who even buys physical portable games anymore? I love my Vita. Playstation sold 4 Million units by the end of its first year. It’s a niche device, like VR, and likewise cost around $400 (original Vita was $350, but you still needed an expensive memory card). Playstation just decided that mobile gaming was dead because people were going to use their cellphones. Before they brought the Move back, for VR, they gave up on that too. As long as the suits keep believing that VR will be a part of the next generation, they’ll keep promoting it. It would have been nice if they were this excited about the Vita’s success, in the past. I don’t want a Switch but I would love a new portable. It may be wrong but I can’t help but be a bit bitter. Yessss!! More units sold could really translate into more VR titles! We NEEED you to come out with another WipEout! Also, please have words with David Jaffe about making another Twizted Metal! That would ve amazing in VR! Also, please remaster at LEAST Killzone 3 and Mercenary in VR!! Make it happen!!! You know what would be awesome though? If actual full length games like RE7. That would be amazing. But all we keep getting are 30 minute tech demos. There are a lot of games on PSVR you can dump hours into. I have over 50 hours in Gran Tusimo Sport, Ultrawings, and Skyrim. Eagle Flight is an open world game, with many challanges, that you can dump time into. Moss is a 3 hour expereince, and easily my favorite Platformer in ages, even tops Super Mario Odyssey which I also really love, but not as much as Moss. Raw Data is a great Story based game that offers a lot of replay. From September – December of this year, we have Astro Bot: Rescue Mission, Blood and Truth, Evasion, and Creed: Rise to Glory which will all deliver traditional a campaign. There are a lot more I have played and really enjoyed, that are much more than simple tech Demos. You can get stuck in a rut of stationary shooters, but if you look, you can find some great expereinces. Especially if you have Move, Aim, and a Good Racing Wheel. I’ve beaten Skyrim, Moss, RE7, persistence, any of the horror games they have, don’t play racing games..what else? That’s the problem. Congratulations Sony! Thank you so much for making a platform that has made some of the most amazing gaming experiences I have ever encountered. From the exhilaration of leaping buildings in TO THE TOP to creeping around the rancid Baker house avoiding Jack to pulling out my Aim Controller blasting creatures on an alien planet, the immersion I feel is something I just can’t get from a TV screen. I own over 130 VR titles and I’m still ravenous, I hope this is just the beginning. Thank You PlayStation Community for supporting PSVR! Thanks to everyone that has bought into this platform, I have been able to enjoy some of the greatest gaming expereinces of my life. PSVR has made me feel like I am 10 years old all over again. Gran Turismo Sport VR is just as mind blowing in 2018 as Gran Turismo was when I saw it in 1998. Hopefully more people will buy into this medium, and allow us to start seeing more big budget games. I would love to see AAA games from developers like Guerrilla Games, Naughty Dog, and Rockstar. I would love to see the next Grand Theft Auto be a VR title from the ground up. PlayStation Owners, please go try PSVR if you have yet to do so. Make sure you try a wide variety of games. You have to use Dual Shock, Move, Aim, and a Good Racing wheel top fully appreciate how incredible this platform is. It is the largest leap in Interactive Entertainment we have ever expereinced. Sony. Please put faith in VR and make some big budget titles from on your best Franchises on the platform. Killzone VR would be an absolutely incredile expereince. Finally, make sure PS5 and PSVR2 are intergrated and available from day one. This is how I want to expereince games going forward. Who else owns every game in the Top 10? Awesome! You can count me as one of the 3 million. I enjoy mine as more of a couple times a week experience as I get disorientated/nauseous easily. Tried the WipEout demo last night – Wow, what an incredible experience but I had to quit after 2 races lol! Anyway Mary, Sid and the gang at PS Blog, the PSVR really needs a GOLF game! The Oculus and VIve both have a couple but sadly none so far for PSVR. Even if the devs of Everybody’s Golf added a VR mode as DLC or something that would be awesome! But HB Studios has a VR-specific offshoot of The Golf Club for PC so maybe they’ll port it to PSVR? Oh and forgot to say that I can’t believe Moss isn’t on the Top 10 PSVR games list!?! It certainly deserves to be there and if you own PSVR you need to play that game ASAP! Just wanted to make anothe rthankyou from inside PSVR this time. Just put 2 hours into Pixel Ripped 1989 & Tiny Trax. Gonna take break, and then do a little MLB Home Run Derby, followed by Gran Turismo Sport VR. Then I will call it a night. Thanks again to Sony, and a huge thanks to those who have bought PSVR and PSVR Software. Keep on supporting this incredible new Medium. Please, make more STAR WARS VR games! Not only space battles but FPS as a classic stormtrooper using the PSVR Aim Controller… THAT would be awesome! Also, more IEYTD missions, more STATIK puzzles and exclusive PS4 games experiences with characters like Drake, Kratos, Joel, etc. How about a price drop for the PS4 VR bundle? I have the Rick and Marty Virtual Rick – ality Collector’s Edition game only. I had tried to buy one at Best Buy.. It looks like the cables that connects it to the PS4 will be too short. PLEASE, make GORN for psvr…It’s one of the best vr games out there and it will make tons of sales. Can we get joysticks added to the VR controller? It would be the greatestthing to hit PSVR and make the games more user friendly. Congrats I’m sure that number will double in no time, the psvr is incredibly unbelievable, and you guys keep out doing yourselves. I want a continuation of Scavengers Odyssey from PlayStation VR Worlds. And I’m waiting to play Astro Bot Rescue Mission. Loved that on VR Playroom before it disappeared. 3 millions sold in two years is only a very low 125000 per month. Hardly any numbers to brag about (quite pathetic sales actually). Personally I have absolutely no interest in either VR or AR. Neither on my consoles or my computer (I could see a small use case for AR on mobile plattform).